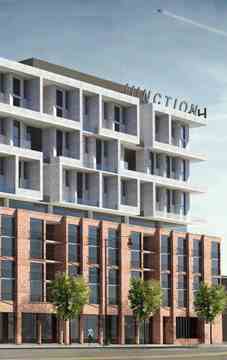 A beautifully designed midrise building in Toronto’s vibrant Junction neighbourhood.Junction House will present a range of living options, including spacious 1, 2 and 3 bedroom lofts, 2 storey skytowns and a limited collection of townhomes. All housed in a striking modern building designed by Toronto’s superkul architects. 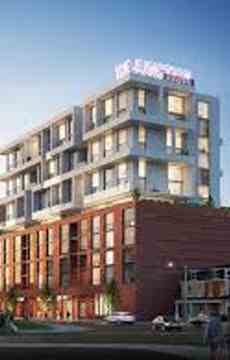 Junction House Condos has a Walk Score of 93 out of 100. Transit Score if 92 out of 100.This location is in the Junction Area neighborhood in Toronto. Nearby parks include Baird Park, Carlton Park and Perth Square Park. Carefully designed to celebrate the entry to the Junction, the building will also introduce new vibrant retail to the Dundas Street main street. Rising nine stories above, the condos will provide exceptional views over the neighbourhood and towards downtown Toronto.